Advertise your business at Thelen Park! 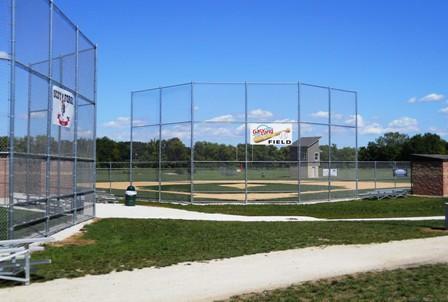 Outfield advertising spaces at the two ball fields are now available for $300 for the 2019 season. Choose from a 4' x 8' or 4' x 16' banner or 4' x 8' metal sign. View more information here . Join the fun at this year's Easter Egg Hunt on Saturday, April 13 at 2 PM. 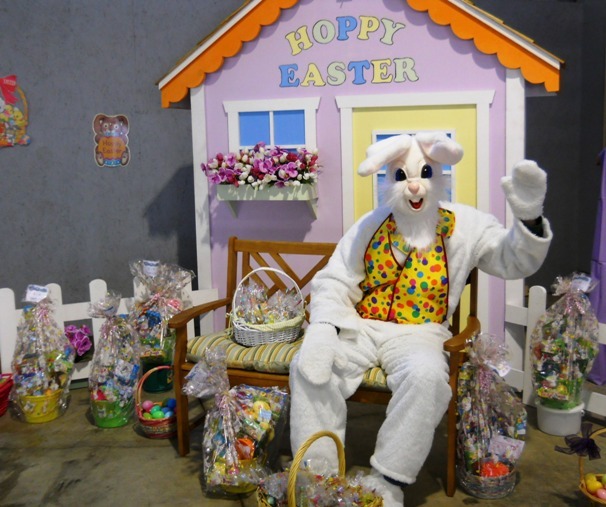 Bring your basket and meet the Easter Bunny. Find the special eggs to win a fun-filled basket or other special prizes! To be held at the RB Community High School gym at 8311 Rte. 31 in Richmond. The hunts start promptly at 2 so don't be late! There is no charge, but please bring a non-perishable food item to help support the local food pantry. View the flyer here . Nature's Feed is hosting a pet adoption event on April 6 from 11 AM -2 PM. 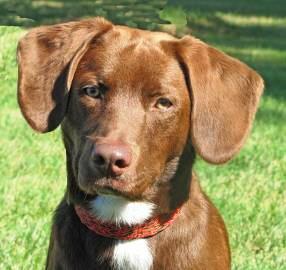 Fromm will be sponsoring the event offering a small bag of pet food for a $5.00 donation; limit 2 per household. You can also purchase any Fromm pet food 4lb bags and larger and receive a $5.00 discount. Nature's Feed is located at 2440 Westward Drive. 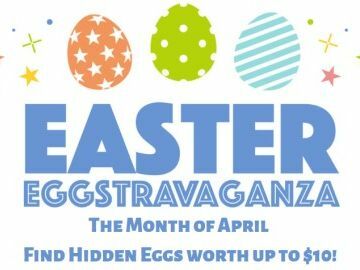 New Leaf Home Furnishing is having an Easter Eggstravaganza in the month of April! Find hidden Easter eggs throughout the store with surprises inside! Located at 2449 Pierce Drive . 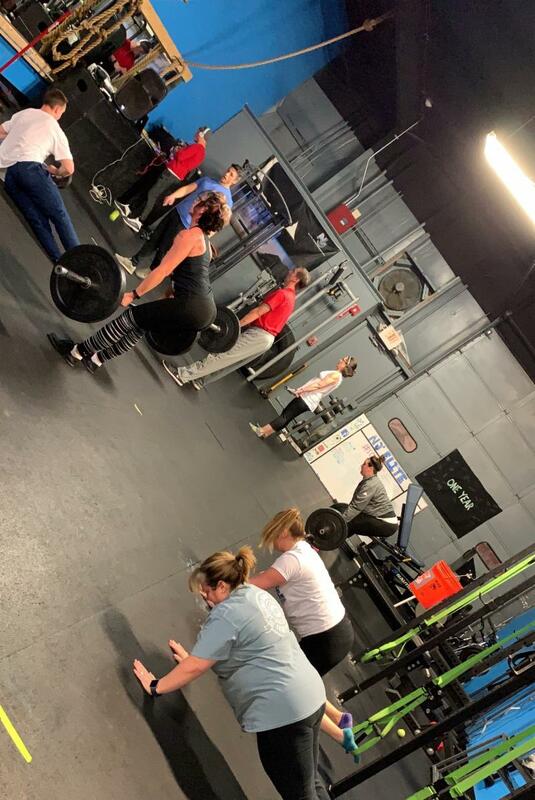 NJ Elite Performance knows it’s tough to get to the gym after a long day of work, especially with everything that needs to be done at home. So they have designed this class to help with just that! The 30 minute long class will pack the punch of a full hour bootcamp. A variety of equipment will be used to help tone, burn fat and calories, lose weight, raise your heart rate and have a great time! You will leave burning from head to toe! Visit them here or call 815-675-1044. 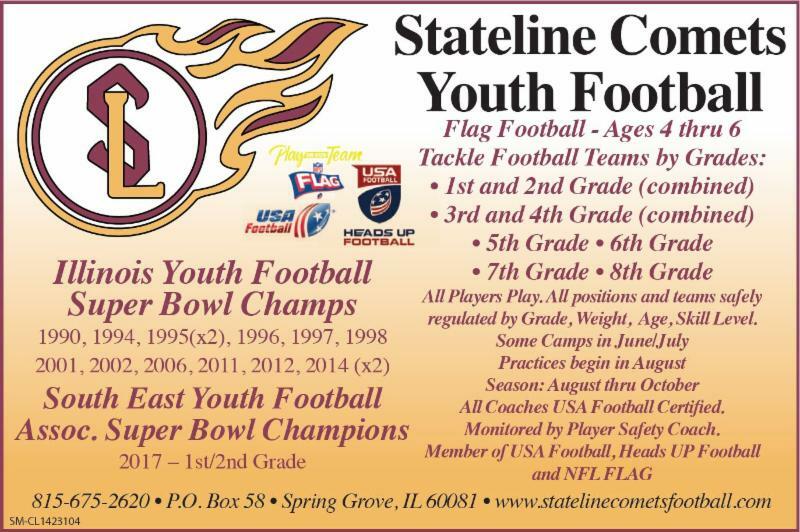 The Stateline Comets on-line registration opened April 1. Early bird discounts apply to on-line registrations through April 30. 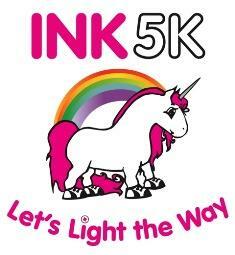 Equipment fittings and late walk-up registrations will take place on Saturday, May 11, at Thelen Park. View more information here . Click here to register. WLAC Nerf Wars is Back in April! WLAC Nerf Wars is back in April! 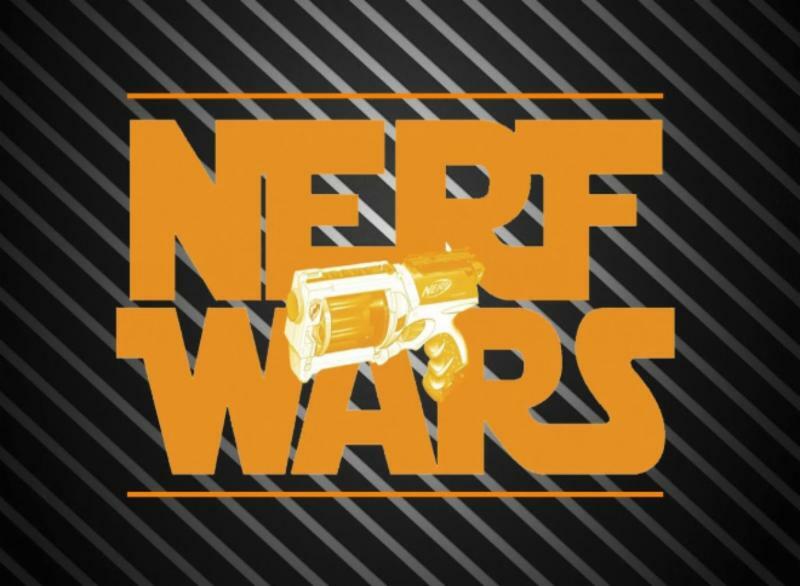 Join them on Saturday, April 13 from 6 -8 PM for an amazing night of Nerf Battles. This is a new time but same great fun! Fee $10 per person or $30 per family. Advance registration is available here but drop-ins are welcome. WLAC is located at 2449 Pierce Drive. 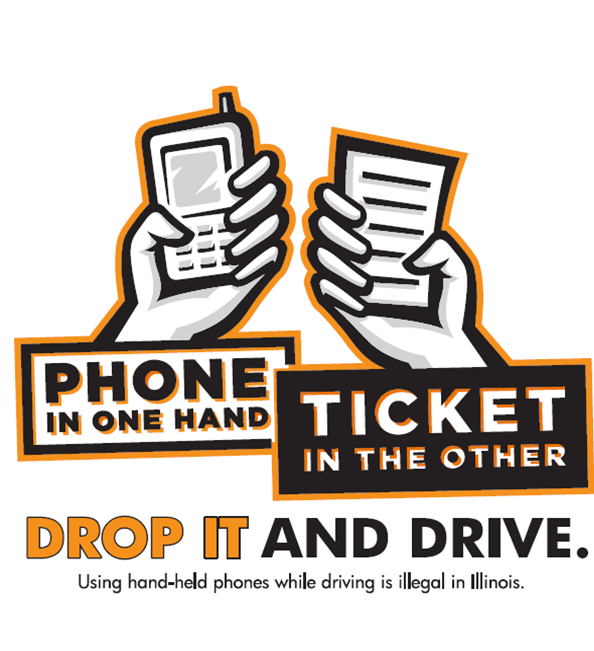 Call 815-675-3008. 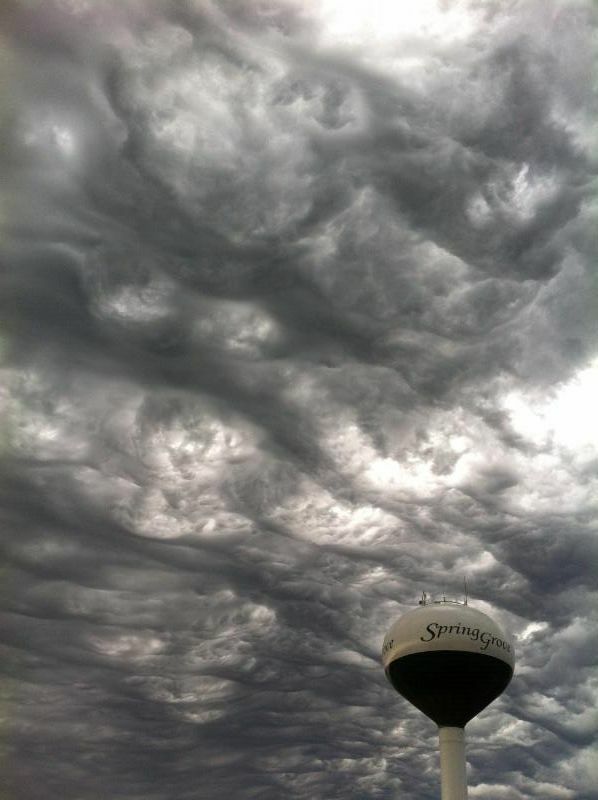 There's power in the skies of Spring Grove! Photo submitted by Jean Attermeier. If you have a photo of Spring Grove you would like to share, email it here . 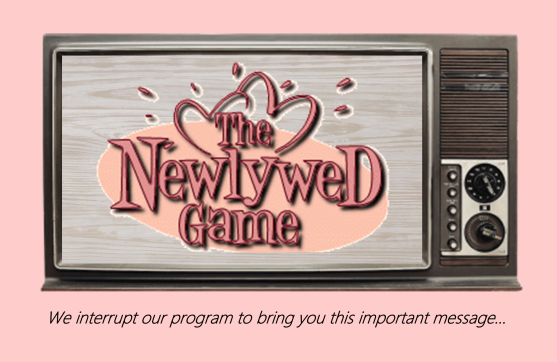 Friendly Advice invites you to a hilarious version of the classic game show "The Newlywed Game" every Saturday in April at 7 PM with a Championship Round on May 4! Discover just how well you know (or don't know) your date (you don't have to be married)! For more details & how to register, view the flyer here ! Friendly Advice is located at 2021 Main Street. Cinderella Dress Swap this Sunday! For many young women, the expenses associated with attending prom is beyond their reach. Thanks to donations of gently used dresses, shoes, purses, and jewelry, girls can come pick out a dress and accessories in a beautiful space while enjoying some treats! 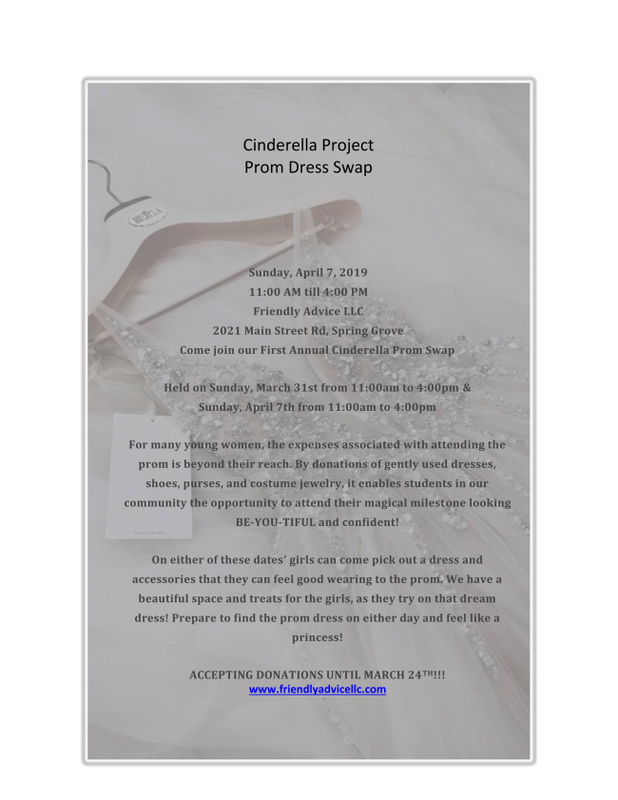 Come and feel like a princess this Sunday, April 7 or Sunday, April 14, from 11 AM - 4 PM at Friendly Advice located at 2021 Main Street.. View the flyer here . 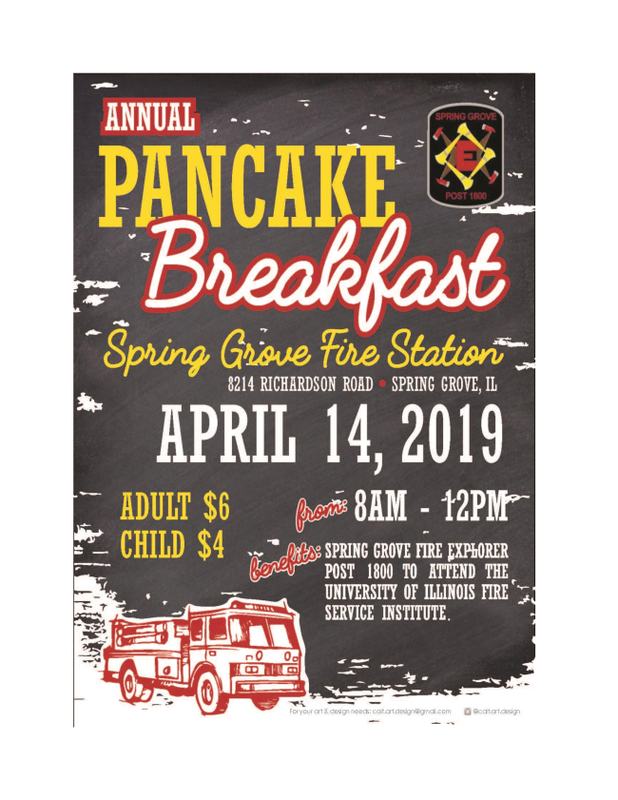 The Spring Grove Fire Explorer Post 1800 is hosting their annual Pancake Breakfast on Sunday, April 14 from 8 AM - Noon. Adults - $6, Children - $4. Proceeds help them attend the U of I Fire Service Institute. Located at the Fire Station at 8214 Richardson Road. View the flyer . Friday lunch special at The Grove! Lunch in 15 minutes or less or it's on them! Order between 11 AM & 2 PM. (Dinners & well-done burgers are excluded). 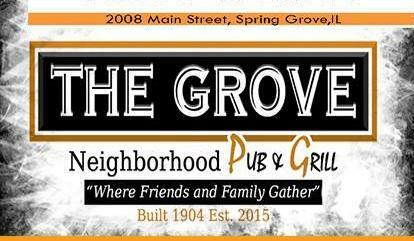 The Grove Neighborhood Pub & Grill is located at 2008 Main Street. See you there! Landscape waste burning is allowed on weekends in April and May (and Oct/Nov). There are strict rules governing the burning of landscape waste, including the location of the fire, allowed hours, wind speeds, supervision, and more. View full burning regulations and other suggestions for disposing of yard waste . Come to a gathering to help raise your level of spirituality. 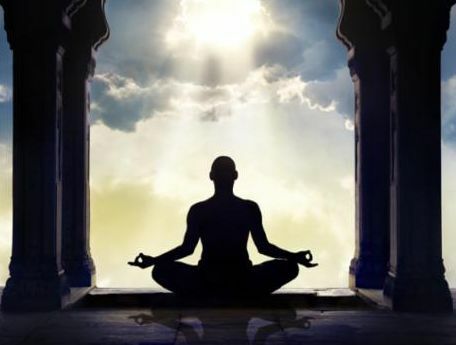 April’s topic will explore life’s challenges with a goal to heighten levels of inner peace and connection to source . Located in the Carriage House Gallery at 2110 Main St., on the second floor of the stone barn, the first Sunday of every month at 10 AM. Donations accepted, but not mandatory. All are welcome. Email David here .